This sample shows how Paris can be used in the healthcare services industry to produce complex and expensive insurance documents, such as UB04s, on plain paper. Resize the page to avoid no-print areas on laser printers and position data perfectly relative to the form. In this example, we are have re-designed the UB04 front and back forms in Paris and then used them to print on plain paper. 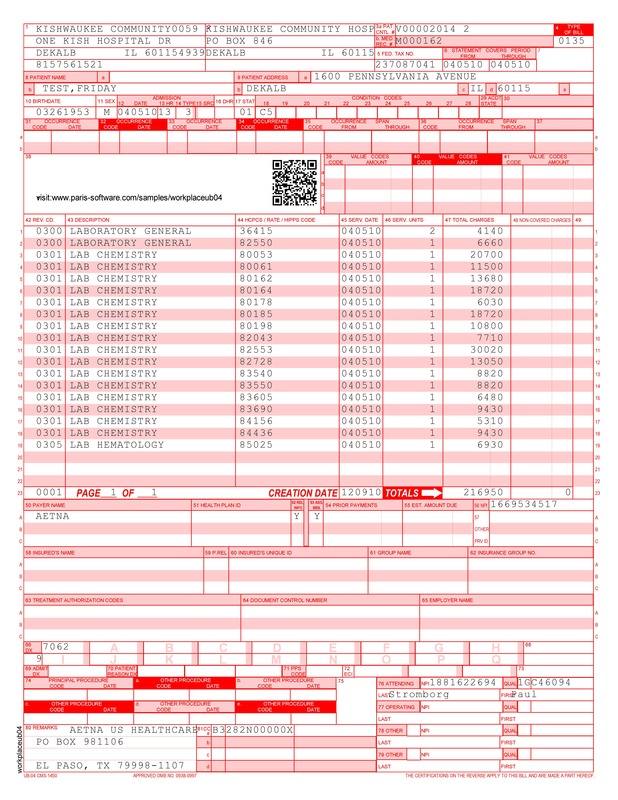 Alignment is perfect because form and data are printed at the same time on to plain paper. No changes are required to your host system or process.